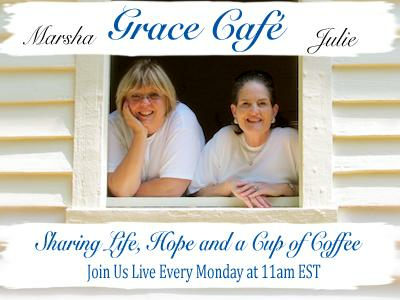 Monday, September 17, 2012 we’ll be joined by Kim Ketola, Teske Drake, and Dawn Scott Jones. Each has a story to tell. Three Women Redeemed from the shame, hurt and grief. One from abortion, one from miscarriage/infant loss, and one from abuse. 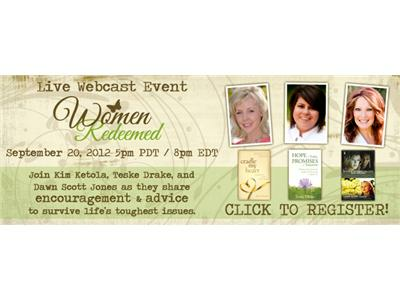 Three women and three books, offering hope to women who are desperately seeking support, understanding and healing. They’re coming to briefly tell their stories and how their lives are intertwined to create a webcast on Thursday, September 20 that will allow women to come together to share their struggles and fears in order to move toward healing and hope. Pull up a chair, grab some coffee and join us. To view the promo video click here.